This information has been developed for people with sight, hearing and mobility difficulties and those who care for them. 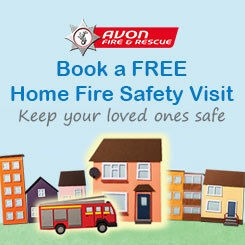 It provides practical advice and tips that will help protect you from the risk of fire. Please contact us and tell us about your disability. In the event of an emergency fire crews will be made aware of your circumstances and take appropriate action. Contact us for a free home fire safety check where we will offer useful advice and carry out a safety assessment which may result in us fitting smoke alarms for free. We can be contacted by a number of methods, please read our contact us pages for details. Here are some useful tips that will help to keep you safe in your home. Don’t tackle a fire yourself. If you can, get out, stay out and call 999. If you can’t dial 999 yourself, get a neighbour to do it for you. If you can’t get out, stay in a room with a shut door, window and phone, ideally at the front of the house. Put bedding round the bottom of the door to block out the smoke, then open the window and call “HELP! FIRE!”. Keep a whistle handy if it’s hard to shout. If you can, close inside doors at night. This will help prevent a fire from spreading. Test the batteries every week. Never disconnect or take them out if the alarm goes off by mistake. If you can’t fit the alarm yourself, contact your local fire and rescue service who may be able to fit it for you. Most house fires happen at night, so make sure your alarm is in a position that will wake you up, such as in your bedroom. Think about all possible escape routes in case there’s a fire. It is a good idea to practice an escape so that you feel confident you could do it day or night. Keep a phone in your bedroom in case you need to make an emergency call. If it’s a mobile, keep it charged. Make sure exits are kept clear and well lit. Make sure you know how your house or personal alarm works, including any passwords or codes.